Many years have passed since Ultraman returned home following the defeat of Zetton and the events of the original series. The Giant of Light's battles are fondly remembered in a museum honouring the SSSP (Science Special Search-Party), and Shin Hayata has retired and has a son named Shinjiro. 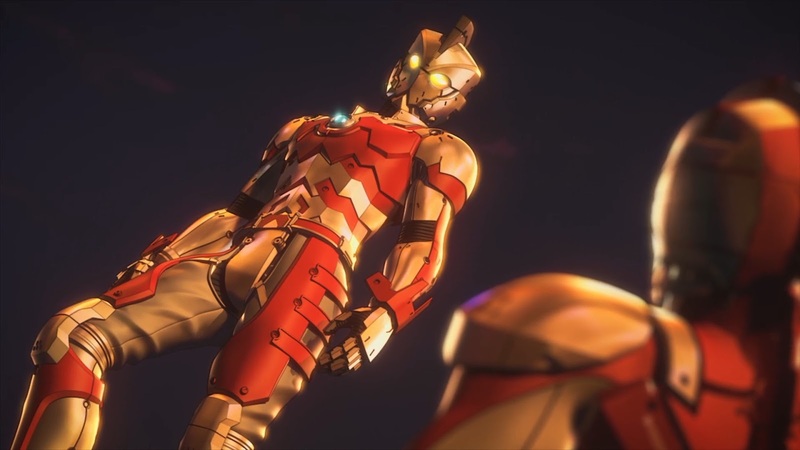 However when Ultraman left Shin's body he left with him superhuman abilities – abilities that have also been passed down to Shinjiro. 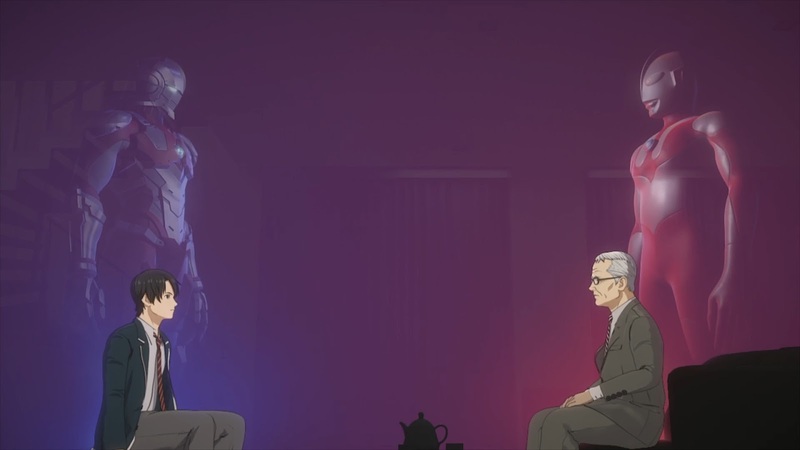 Now when he and his father are attacked by an unknown alien identifying himself as Bemular, the 17 year old Shinjiro must inherit his father's legacy. Donning a specially made suit developed by the SSSP, Shinjiro battles alien threats as well as encountering others who seek to claim the title of Ultraman. For those unfamiliar with the ULTRAMAN manga, this sequel disregards everything that followed the original series and offers a very different spin on the iconic hero. Instead of a giant being, the "Ultraman" here is a hi-tech suit not too dissimilar from that of Iron Man – though Shinjiro has his own superhuman strength and endurance passed onto him by his father. As the series progresses other Ultraman variants are also introduced based on later series (namely Ultraseven and Ultraman Ace), but other than names and design traits share little in common. Classic alien species from across the Ultra Series are homaged in new, similarly human-sized forms and fight sequences take place on a ground level. Though it may all sound very different, it retains all those inherently Ultraman traits and feels like genuine attempt to put a modern spin on the franchise. 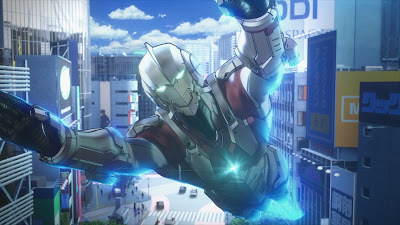 Though newer series prove that Ultraman is a timeless concept, this is a unique take that shows a lot of respect for its forefather. Even though it ignores nearly 50 years worth of history, ULTRAMAN still manages to pull off some fairly interesting world-building. The SSSP have gone from a colourfully clad team of extraterrestrial investigators to a secretive Men in Black style organisation, now spearheaded by an alien whose race once threatened to destroy the planet. Instead of simply invasions they tackle all sorts of alien crime, ranging from murder to conspiracy on an intergalactic level. But though the world may seem a lot greyer morally, ULTRAMAN still has the heart of a traditional good versus evil story. 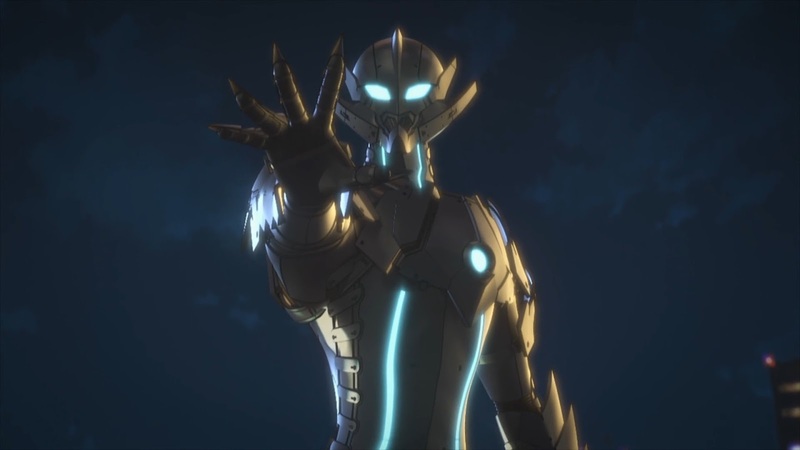 It's a coming of age story for Shinjiro as he learns to accept the legacy that’s been passed down to him, and with other characters also emerging as Ultraman it also retains a key message that’s been core to the franchise since it began - it isn’t the powers that define Ultraman, it’s the actions. Anyone has the potential to be Ultraman. The characters themselves are all immediately likeable and serve the story well, though the series often suffers from overly relying on dialogue and exposition for backstory and development. Outside of Shinjiro himself, the only character whose stories even closely resemble an arc are Seiji (Ultraman Ver. A) and Rena, a pop idol who takes a keen interest in Ultraman. However just because the other cast members don’t have designated story arcs or development doesn’t make them any less enjoyable. Dan Moroboshi (Ultraman Ver. 7) makes a fantastic foil to Shinjiro - a no-nonsense SSSP agent who views Ultraman as little more than a swift enforcer of justice. His quick despatch of his opponents is a nice parallel to his namesake, who despite not sharing the same views was often far more brutal than the original Ultraman. 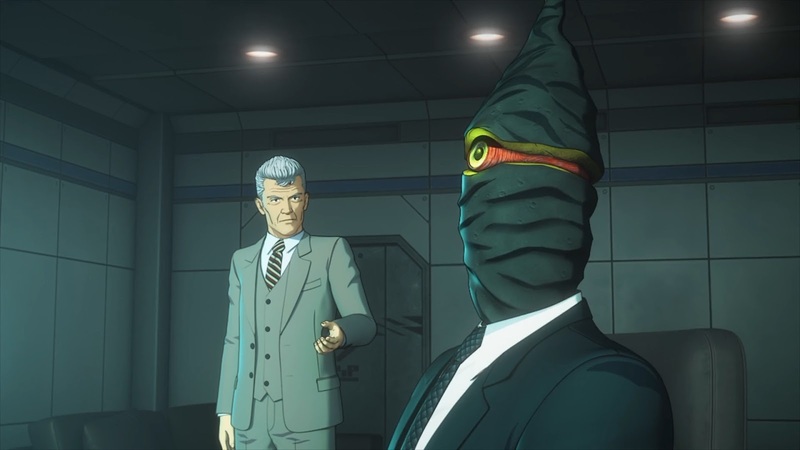 Alien characters like SSSP advisor Edo or the charismatic secret agent Adad steal every scene they’re in, and even lesser ones prove to me memorable thanks to their excellent designs. 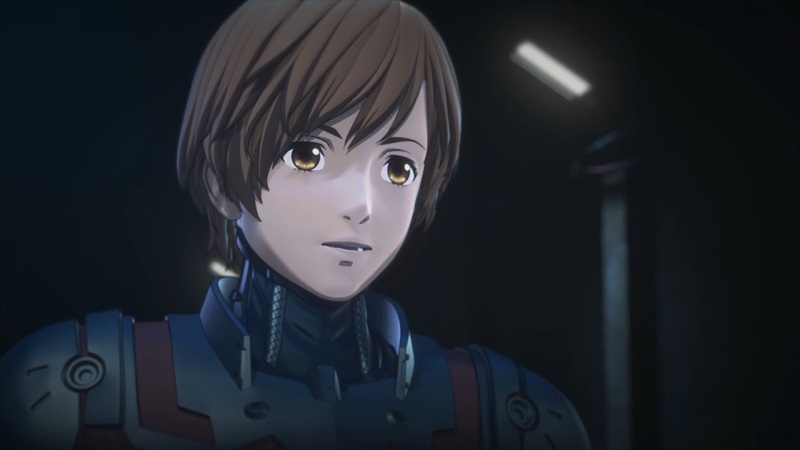 Shin Hayata takes a backseat but very much remains a presence in the story, with both he and Mitsuhiro Ide (another returning character) bridging the gap between the new and old. But for many it's going to be the visuals that make or break the series for them. 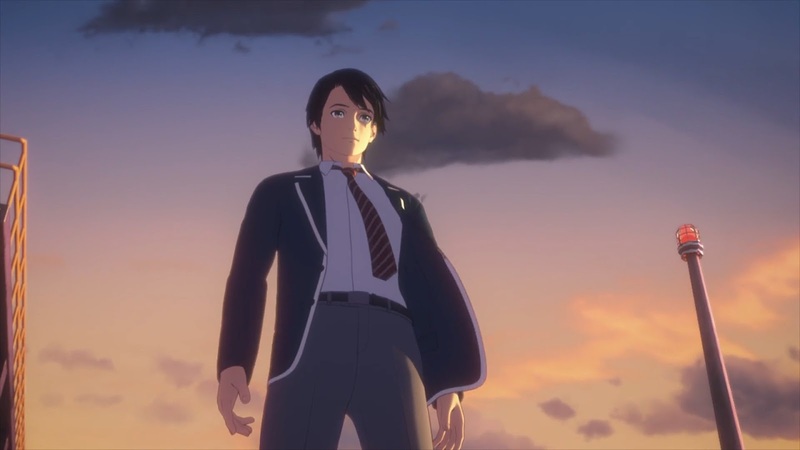 Although Japan has made some excellent strides in 3DCG in recent years, it still carries a negative stigma that it's outright replacing 2D animation and often doesn't hold up well from a quality standpoint. Coming from an established studio like Production I.G. provides ULTRAMAN with a certain level of confidence, but issues like stilted character movement are still very much prevalent. But while the visuals in those early episodes might take some getting used to, as the series progresses the CGI imagery feels more and more fitting. It doesn't quite capture the sharpness of Shimoguchi's original artwork, but it's a pretty close approximation that 2D animation would equally struggle with. It also works incredibly well for both the Ultraman suits and fight sequences – both of which are going to be the main draws of the series for many people. The models take every bit of detailing packed into those suit designs and magnify it ten-fold, taking the classic Ultraman design and warping it into an impressive mesh of skeletal armour plating. 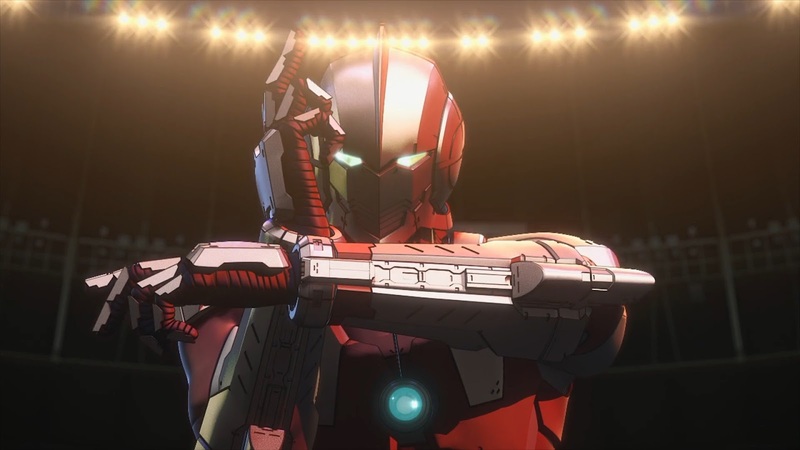 Similar to the fight sequences in SSSS.Gridman CGI also gives the fight choreography a certain weight that mimics its tokusatsu inspiration – bolstered even further by the fact that the series used motion capture actors to provide realistic movement. Even though these fights are made up of things that would be extremely difficult to recreate in live action, the fact ULTRAMAN still stays true to its roots is where its visual charms lie. As the manga is still ongoing this is not a complete adaptation of the source material, covering a total of eight of the 12 volumes released thus far. 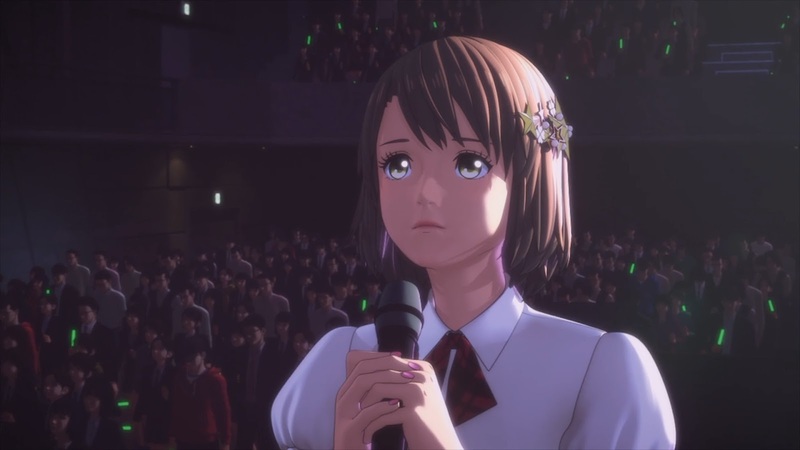 As far as the wider story beats go it's a fairly faithful adaptation, though it abridges some events (such as the concert confrontation with Adad for example) for the sake of running time and/or story flow. Aesthetically very little has changed either, although keen-eyed viewers will notice that the colour schemes of the Ultraman and Seven suits have been altered slightly to closer resemble their tokusatsu counterparts. More significantly however it makes a bigger point of focusing on the three characters who are Ultraman, leading to a more Seiji-focused finale and the omission of characters from certain events. One side character is written out of the story entirely, which doesn't have any bearing on the series now but may prove interesting later if further volumes are adapted. Unfortunately the nature of only adapting a portion of the source means the series does end fairly open-ended – whilst the immediate problems are resolved bigger mysteries like Bemular are left unanswered. Hopefully positive reception will lead to a second season being green lit, but in the absence of that newcomers may have to look toward the manga if they want to see where the story is headed. 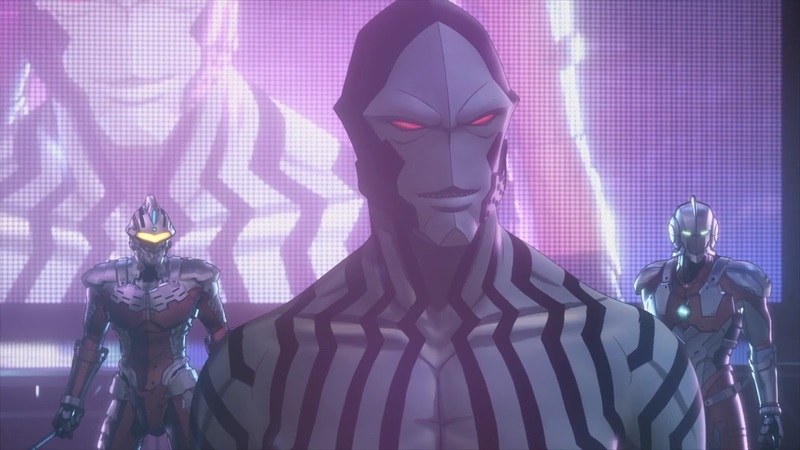 All in all ULTRAMAN is both a serviceable and above all enjoyable adaptation of its source material. 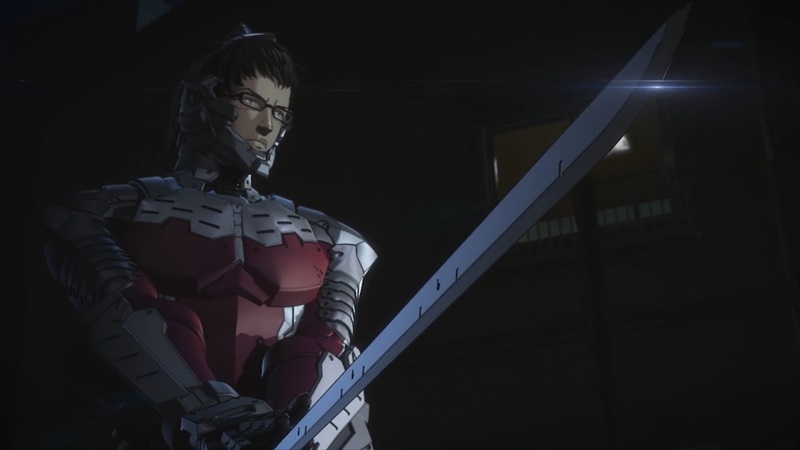 The minor alterations made serve to tell a more streamlined and focused story, and whilst many may find the CGI animation a difficult hurdle to overcome it is well-suited to the manga's art style and excels at providing high quality action sequences. Though existing Ultraman fans will undoubtedly get more from the series it also works both as a standalone and as an entry point for the franchise – hopefully inspiring a new generation of fans to peruse its 50 year legacy. Its production and distribution are already a big moment for the franchise, but its success could mean a whole lot more.